Silver is not only used in modern industry, but is also bought and accumulated for investment purposes. In fact, it has been used for this purpose for over 5000 years now. Silver and other precious metals, such as gold and platinum, are considered a store of value. Silver has been used in currencies for a very long time, as well. It was first used as a form of currency all the way back in 700 B.C. From the ancient Greeks, to the ancient Romans, to the British, silver has been part of currency trading for ages. Unlike paper currency that is issued by governments and central banks, silver is backed up by the physical metal itself — and it can be transacted anywhere in the world. In other words, it is a hard and tangible asset. This is what makes silver and other precious metals so attractive. In addition, silver has only a finite supply, which is why the laws of supply and demand are a key factor in precious metals investments today. Silver spot prices are extremely important in the buying and selling of precious metals. The spot price of silver refers to the price per troy ounce traded on various Commodity Exchanges; it is updated every second during market hours. The troy ounce has been the standard measurement for precious metals since the 1800s in the US and much longer in other parts of the world. Silver prices, like the prices of other precious metals such as gold, are subject to volatile price swings. The prices of our silver products are determined by the current spot price of silver, in addition to our premiums for each product. The current silver spot price is determined by many factors, including but not limited to the state of the economy, futures market, OTC (Over the Counter) market, world events and strength of other currencies. The term silver bullion refers to pure silver in bar (ingot), coin, or round form. The term Bullion supposedly came from a French aristocrat named Claude de Bullion, while others have suggested that the term stems from the French word bouillon, which means “boiling” and was perhaps referencing a melting or minting house. Silver bullion products are manufactured to offer investors a convenient means of making investments in precious metals. Below we will take a look at some of the various types of silver bullion available today. Bars come in various shapes and sizes and are made by different fabricators or mints from all over the world. Silver bars can offer investors a simple and easy way to accumulate varying amounts of silver in its purest form. Common silver bar sizes include 1 oz, 5 oz, 10 oz, 1 kilogram and 100 oz. Some of the more common producers of these silver bars are Johnson Matthey, OPM Metals, Engelhard, NTR Metals, Sunshine Mint, SilverTowne and the Royal Canadian Mint. Silver bars may be purchased and stored at home, in safe deposit boxes or in other secure storage facilities, such as third party vaults. Silver bars are typically made from 99.9 percent pure silver, while some producers, like the Royal Canadian Mint for example, use .9999 percent fineness. Silver bars are always stamped with markings to note the purity, manufacturer and weight of the bar. Because of the small premiums over the silver spot price they typically carry, silver bars are one of the most affordable ways to invest in silver bullion. Coins are another very popular way to invest in silver bullion. Silver coins, like bars, can offer investors a simple and convenient way to invest in the precious metal. There are many different types of silver coins available today produced by various governments throughout the world. Some of the most common bullion coins are the American Silver Eagle, Canadian Silver Maple Leaf, Chinese Silver Panda and British Silver Britannia. Silver bullion coins come in various sizes with the 1oz variation being the most popular. 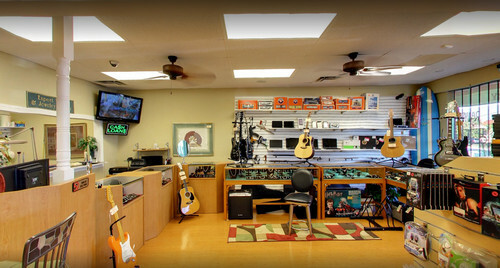 In addition, one can buy tubes or monster boxes of multiple coins for convenience at at reasonable cost over spot price. Like silver bars, silver coins are often 99.9 percent pure. Some coins, such as the Canadian Silver Maple Leaf, for example, can be as high as .9999 percent pure. Silver bullion coins do also carry a face value and, therefore, must be produced by government mints. For example, the American Silver Eagle has a face value of $1 USD. The American Silver Eagle seems to be one of the most popular and most trusted coins in the world. A silver round is exactly what it sounds like. It is a round piece of pure silver. This form is similar to a coin, but unlike a coin it does not carry any face value. Because silver rounds cannot be used as legal tender, these bullion products may be produced by government and private mints, as well. Silver rounds come in various sizes, but like silver bullion coins the most common size is 1oz. 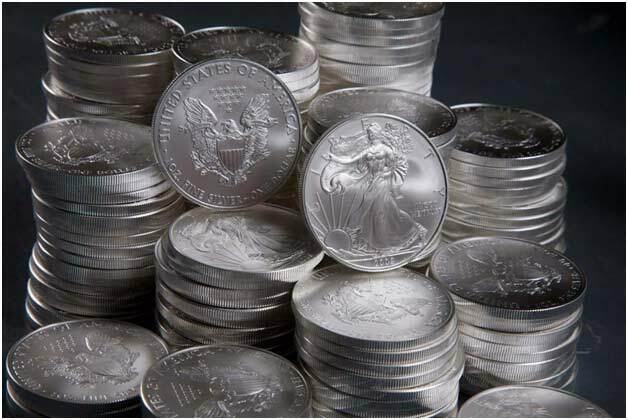 Silver rounds carry the smallest premium over the spot silver price, making them a very good choice for investors looking to accumulate silver.